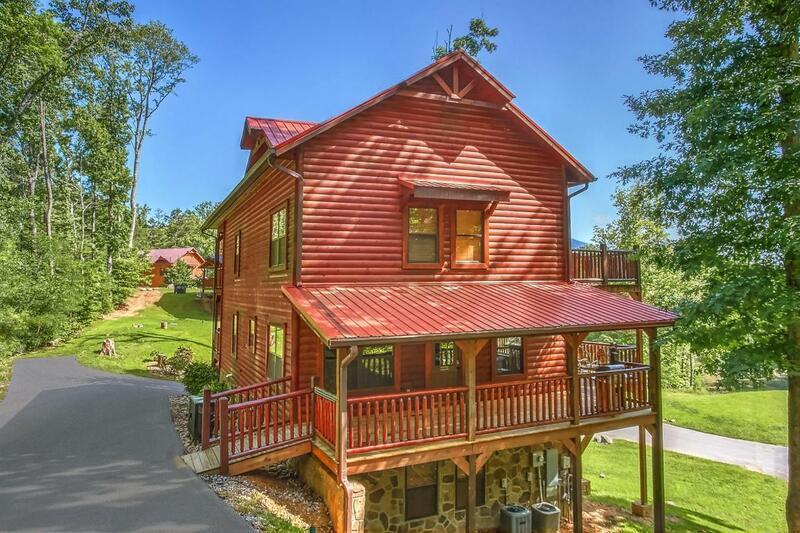 **Guaranteed over $80k Rental** Immaculate Cabin with everything you need for a getaway! 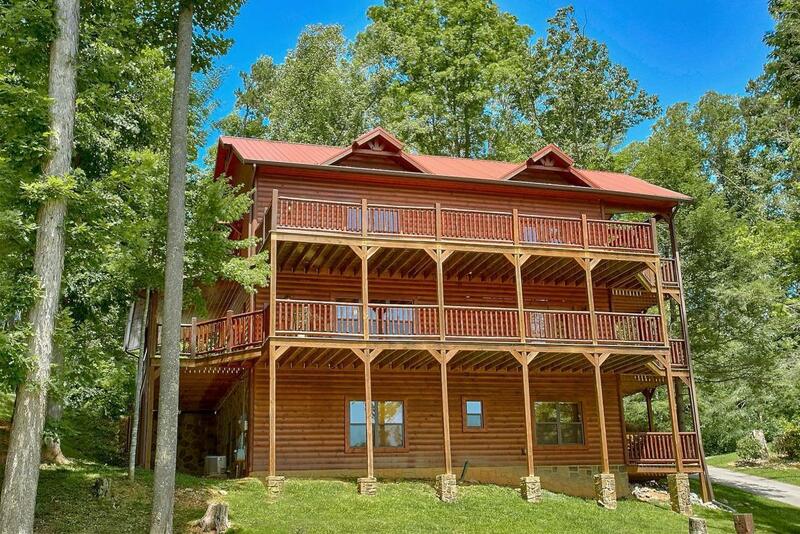 This 3 story, 5 bedroom, 4 bath Log Cabin is a must see with Specatular views! It features a Theater room with statium seating and projection screen, game area with a pool table and air hockey table! Large kitchen with stainless steal appliances, kitchen island and breakfast bar, dinning area next to the kitchen. Large family area with stone fireplace and lots of windows! 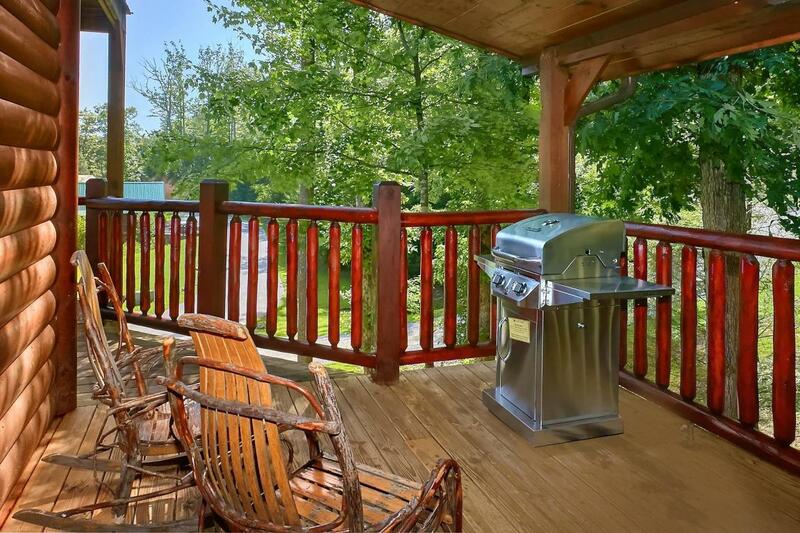 The large master features a seperate fireplace with 2 french doors leading to the wrap around deck! Ceiling fans throughout with cedar on the ceilings and walls!! 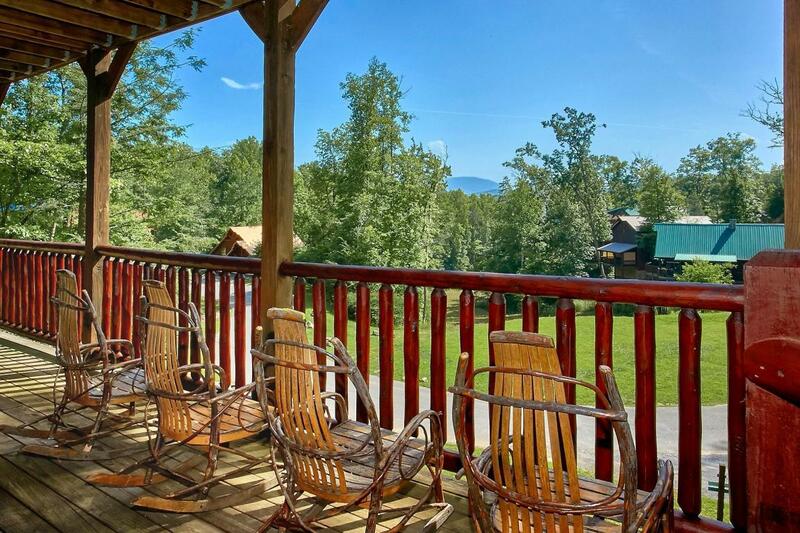 The tri-level decks are a must see wether you want relax in the hot tub or entertain your guests! !